Imagine the warmth of a soft summer breeze caressing you from head to toe. That's the feeling this expressive mix of sunflowers, alstroemeria, limonium and button poms conveys. 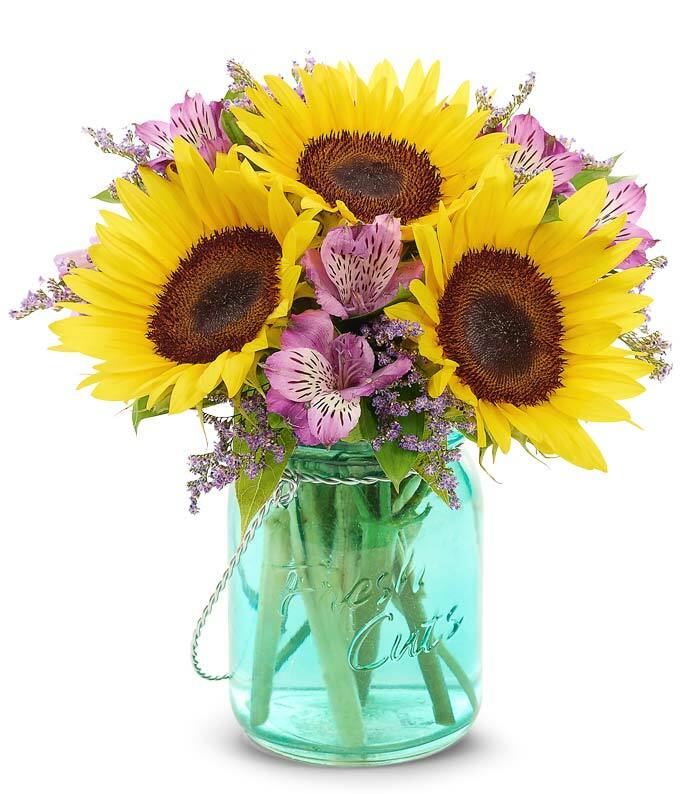 Adding to the charm and ambiance of the arrangement is a blue mason jar container. Measures 11"H X 9"L.